Advertising Sky Balloon for Samsung. Advertising sky balloon use for advertise on that height as you want. BJP advertising sky balloon for Rohtak. 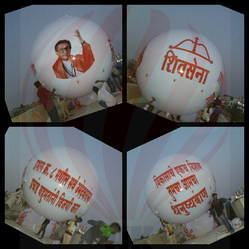 PVC material advertising sky balloos, Customize BJP sky balloons. Usage: Advertising, Events, Promotional activities. 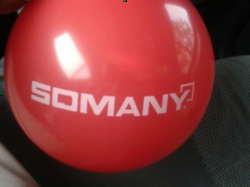 Leveraging on adequate resources and skills, we are proficient in providing Advertising Sky Balloon to our esteem clients.